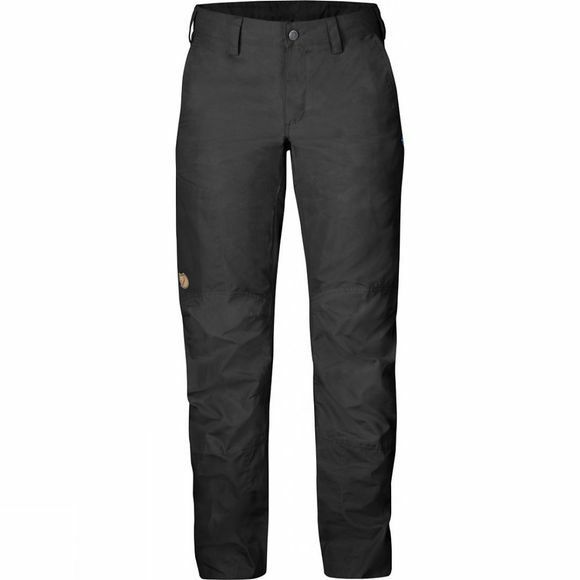 The Women's Nilla Trousers from Fjällräven are hardwearing outdoor trousers that are tough enough to withstand long days in the outdoors no matter what the weather decides to throw at you. Mostly constructed with G-1000 Silent they don't come with the loud rustle that is so often associated with durable outdoor trousers making them a pleasure to wear even on long days. Two hand pockets and a pocket on the leg will happily stash small essentials while the raw length at the hems makes them easy to personalise to your own leg length should you always find yourself between sizes.